November 11 this year is the 100th anniversary of the end of World War I – and is the “Armistice Day” as declared by Staunton native President Woodrow Wilson. 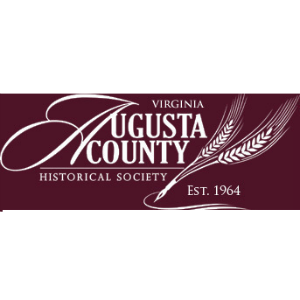 To mark the century since the “Great War” ended, the Augusta County Historical Society and other area organizations have scheduled talks and special events from Sunday, November 4, to Sunday, November 11. All events are free and open to the public. On Sunday, November 4, the ACHS will present historian John Flood speaking at the ACHS fall meeting on a on the intriguing connection of Buffalo Bill Cody, the City of Staunton and Woodrow Wilson. That presentation is at 3 pm at the Augusta County Government Center. In 1918, as the Great War was winding down, the Staunton area was hit by something more devastating than war… The flu. The influenza pandemic swept the area and casualties were high. The war killed 16 million lives – 117,000 of them American. The flu took 50 million lives worldwide – the deadliest illness in recorded history. On Tuesday, November 6, historian Nancy Sorrells and ACHS intern Caitlyn Alexander will take a fascinating look at the local flu impact – “On the Home Front: How the influenza pandemic played out in our area”. The presentation will be 4 to 5 pm at the First Presbyterian Church. Sorrells is a member of the ACHA Board and Alexander is a student at Mary Baldwin University. Two Valley boys, one from southern Augusta and one from a few miles away in Rockbridge, went off to fight in World War I – and never returned. On Thursday, November 8, historians and authors Gregg Clemmer and Nancy Sorrells will tell the stories of Ashby Forrest Painter and Herman Leonard Clemmer and the lives they lost to war. In a 7 pm presentation in the lecture room at the R. R. Smith Center for History and Art, the two young men will be remembered as representative of the thousands who fought and died. The story is of their lives and sense of duty, and of the detective work Sorrells and Clemmer undertook to bring their stories to light. Clemmer’s story sprang from an old photo in a Nebraska trash pile and Painter’s story emerged through a 70-year-old quilt in North Carolina. At the outbreak of World War I there was a large African-American population in Staunton and Augusta County, and many young men from that community went off to fight in the war. Some did not return. On Sunday, November 11, historians Melissa Patrick and Laten Bechtel will draw from the area’s rich African-American history to speak of the area’s African Americans who went off to war. They have already identified about 400, including many who served in the 92nd and 93rd Divisions and in the famed 369th Harlem Hellfighers, a highly decorated infantry regiment that fought under French command. The presentation will be at 3 pm in the Augusta County Government Center in Verona. The ACHS was founded in 1964 to study, collect, preserve, publish, educate about, and promote the history of Augusta County and its communities. More information is available online at www.augustacountyhs.org.